The United States is spending more on cybersecurity today than ever before but is experiencing a growing number of cyberattacks on the power grid and other targets. A Nebraska-based consortium of small municipal utilities, for example, recently detected nearly 4 million hacking attempts in one eight-week period. 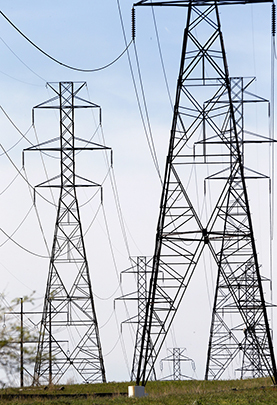 The electric grid — a patchwork of more than 300,000 miles of transmission lines and 9,200 generating stations — also is vulnerable to attacks by gun- or bomb-wielding terrorists or saboteurs. Although some security experts say a massive, long-term blackout is unlikely, industry and government officials are working to protect the grid and improve coordination between agencies and utilities. In February, President Obama announced a plan to help government agencies, businesses and the public prevent and respond to attacks. But securing the grid against attack is difficult, and many analysts say the task is becoming harder as the use of renewable energy and cloud-linked “smart” energy-efficiency technology grows.